This article aims at reporting on the process of tutors training for the planning of distance education at the undergraduate Administration course at the Federal University of Uberlandia - Brazil. It describes a participatory research training of tutors in the use of concept mapping (CM) and concept mapping software to encourage individual contribution and cooperation in the context staff development for distance education. The results are presented of collectively constructed conceptual curricular network maps that demonstrate the cooperation and metacognitive thought of the instructors in creating these maps. The maps represents, topologically, a general and integrated vision of the Declarative Knowledge (What), Procedimental (How) and (Why) - a Structural Knowledge in accordance with the constructivist epistemology of the human brain. The cooperative elaboration of the curricular maps shows the understanding of the importance of this aid in the process of metacognition, and some of the resulting applications in the planning of Distance Learning. It illustrates CM that represents A) Metacognitive exercises of the instructors, B) General and integrated vision of curricular, C) Alignment between CM and revised educational taxonomies. Mendes, E., Jordão de Carvalho, C., Gargiulo, V. & Alves, J.B. (2014). Conceptual Maps for Training Tutors in the Distance Learning Course in Management. International Journal on E-Learning, 13 (4), 451-466. Waynesville, NC USA: Association for the Advancement of Computing in Education (AACE). Retrieved April 25, 2019 from https://www.learntechlib.org/primary/p/33094/. Anderson, I. & Ditson, L. (1999) Computer-Based Concept Mapping: A Tool for Negotiating Meaning. Learning and Leading with Technology, 26(8), pp. 6-13. Ausubel, D.P., Novak, J.D., & Hanesian, H. (1978) Educational psychology: A cognitive view (2nd ed.). New York: Holt, Rinehart and Winston. Cho, H., Lee, S., Stefanone, M. & Gay, G. (2005). Development of computer-Supported Collaborative Social Networks in a Distributed Learning Community. Behaviour& Information Technology, 24(6), 435-447. Creswell, J. (2008). Educational Research: Planning, Conducting, and Evaluating Quantitative and Qualitative Research. New Jersey, Pearson. Crick, R.D. (2005). Being a Learner: A virtue for the 21st Century. British Journal of Educational Studies, 53(3), 359-374. Heeren, E. & Kommers, P. (1992). Flexibility of Expressiveness: a critical factor in the design of concept mapping tools for learning. Em: Kommers, Jonassen e Mayes (eds.) Cognitive Tools for Learning (pp. 85-101). Berlin: Springer Verlag. Jonassen, D., Beissner, K & Yacci, M. (1992). Structural Knowledge: Techniques for Representing, Conveying, and Acquiring Structural Knowledge. Lawrence Erlbaum Associates, New Jersey. Jonassen, D., Peck, K & Wilson, B. (1999). Learning with Technology: A Constructivist Perspective. Prentice Hall, Ohio. Kao, G, & Lin, S. (2008). Breaking concept boundaries to enhance creative potential: Using integrated concept maps for conceptual self-awareness. Computers& Education, 48, 1718-1728. Kirschner, P. & Erkens, G. (2006) Cognitive Tools and Mindtools for Collaborative Learning. Journal of Educational Computing Research, 35(2), 199-209. Kong, S. (2008). A curriculum framework for implementing information technology in school education to foster information literacy. Computers& Education, 51, pp. 129–141. Lebow, D. (1995). Constructivist Values for Instructional Systems Design: five principles toward a new mindset. In: Seels (Ed.). Instructional Design Fundamentals: A reconsideration. Englewood Cliffs, New Jersey: Educational Technology Publications. Litman, L and Davachi, L (2008). Distributed learning enhances relational memory consolidation. Learning and memory, 15, pp. 711-716. Lowyck, J. (2002). Pedagogical Design. In: Handbook on Information Technologies for Education and Training (199-217). Berlin: Springer Verlag. Mioduser, D. & Nachimias, R. (2002). WWW in Education. In: Adelsberger, Collis e Pawlowski (eds). Handbook on Information Technologies for Education and Training (23-43). Berlin: Springer Verlag. Novak, D. & Cañas, A. (2008) The Theory Underlying Concept Maps and How to Construct and Use Them (Technical Report from IHMC CmapTools) [online], Florida Institute for Human and Machine Cognition, Retrieved in september, 2008, http://cmap.ihmc.us/Publications/ResearchPapers/TheoryUnderlyingConcept Maps.pdf. Novak, J. & Gowin, D. (1984). Learn How to Learn. Cambridge: Cambridge University Press. Piaget, J (2003). The Psychology of Intelligence. London and New York, Taylor& Francis. D.E. The PDP Research Group (1986). Parallel distributed processing: Explorations in the microstructure of cognition (Vol. 2, Psychological and biological models). Cambridge, MA: MIT Press. Spector, M. (2008). Cognition and learning in the digital age: Promising research and practice. Computers in Human Behavior, 24, 249-262. Stahl, G., Koschmann, T., & Suthers, D. (2006). Computer-supported collaborative learning: An historical perspective. In R.K. Sawyer (Ed. ), Cambridge handbook of the learning sciences (pp. 409-426). Cambridge, UK: Cambridge University Press. Weinberger, A., Ertl, B., Fischer, F. & Mandl, H. (2005). Epistemic and Social Scripts in Computer-Supported Collaborative Learning Instructional Science. International Journal of Learning and Cognition, 33(1), pp. 1-30. Zwaal, W. & Otting, H. (2012). The Impact of Concept Mapping on the Process of Problem-based Learning [online]. 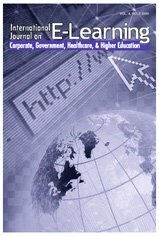 The Interdisciplinary Journal of Problem-Based Learning, 6 (1); Retrieved in november, 2012, http://docs.lib.purdue.edu/cgi/viewcontent. Cgi?article=1314&context=ijpbl.